Teacher Appreciation Week is right around the corner! 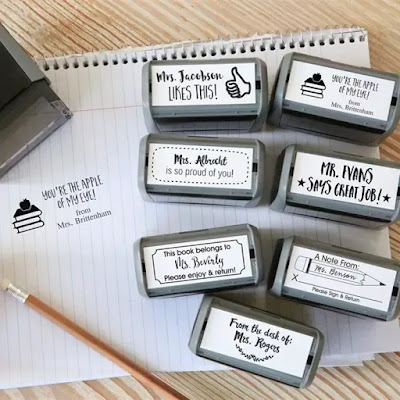 Head over to get one (or a few...) of these Self Inking Teacher Stamps for ONLY $9.99 (Retail $39.99)! Give a gift that keeps on giving... or should we stay, keeps on stamping. These personalized stamps make a special &amp; useful gift for that your favorite teacher will be delighted to receive and use!